Instead, 42…Re3 43.Qd1 leads to a R+P endgame that certainly isn’t the most pleasant, but one that I’d guess is still objectively drawn. A suggestion on ChessBase to play 43…Qxd1 44.Rxd1 Rb3 can be met with 45.Rd8 (discouraging 45…Kh6) and Black’s potential progress here should be quite limited. Maybe 44…Kh6 is better (as I think I saw on chess24), but even then, White can liquidate most of the queenside at the cost of his f-pawn after 45.Rd4 b5 46.Rb4. Not trivial to draw I suppose, but definitely not a clear missed win. So a mixed game for Anand – his opening choice was an excellent one, and he defended pretty well when he had to, but he also somewhat imperceptibly slipped from an equal position into a clearly worse one. White’s position doesn’t look very active, but in short order, it was clear who was going to dictate play. 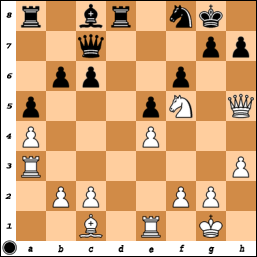 White’s next moves with Nc4, a4, Nxb6, d4, and Ra3! 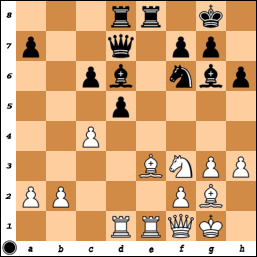 To me, though, the strange thing was Anand’s play from about the following position onwards. Maybe …Rd8 was already a small mistake as White’s queen wants to go to h5 anyway (and the rook adds little to nothing from d8) but Black’s play from this point forward seemed very familiar to me in all the wrong ways. When I’m playing poorly (and not hanging-pieces-poorly I mean), I often get into positions where I’m under a little bit of pressure and start burning up a lot of time. My thought processes are very focused on each move in question without much concern for how my pieces are interacting, what I would like to be doing, etc. I end up fixating on a single factor in the position and “solve” that problem, only to see new leaks surface in my position after each subsequent move. After the fact, I wonder what it was I was thinking about and calculating all that time, because it’s as though I kept dealing with only one of my opponent’s ideas at each stage. This “playing move-to-move” problem is what I thought I saw in Anand’s play from here on out. The danger should already be clear – White’s amassing forces on the kingside and Rg3 is the obvious next move. And then if Black plus the g-file with his knight, it’s also pretty obvious that White can consider using the h-pawn as a lever to open it back up. So instead of starting to chase White’s pieces away (with …Qf7!) 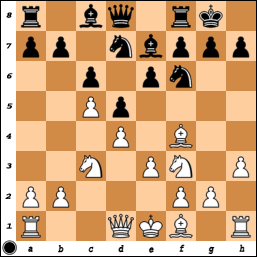 or trading off the attacking knight (…Bxf5, still unpleasant), he played 18…Be6?! after about 6 minutes of thought. After 19.Rg3 (what else was he expecting), he thought for 10 minutes before playing 19…Ng6. Then after 20.h4, he thought for 20 minutes before playing 20…Bxf5. Already at this point, the position is very unpleasant and maybe Stockfish could save it against Magnus, but most mortals wouldn’t have a hope. But what was the plan after 18…Be6 to begin with? 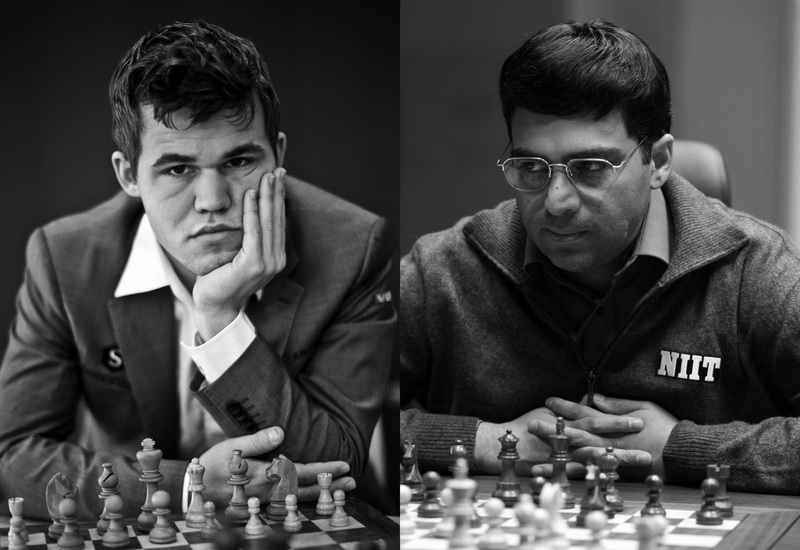 Nothing White in the immediate aftermath could be considered too surprising, and players much weaker than Carlsen could probably have played all the same moves for a while. Mark Crowther at TWIC wrote that there were “ominous” signs for Anand after this game specifically, but he didn’t mention what I thought was really ominous about the start of the match: Magnus had played quite well in both games. Compared to last year then, when he didn’t start very confidently and still won 3-0 in decisive games, it wasn’t looking good. What the heck?! I checked on the game soon after waking up and instead of seeing a live broadcast, it was already over. Worried, I went through the game and realized Anand won?! And a QGD (via the Nimzo move order) it was. 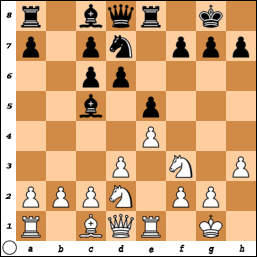 This QGD line is sort of known, although it’s more typical after 8.h3 instead of 8.Bd3. Actually, in South Africa where I played recently (more on that later …), I faced 8.h3 against GM Sahaj Grover. As the 2nd game of the day after a grueling 5-hour defense against GM Eric Hansen in the morning, I was debating what to do here. In the end, I decided against the normal …b6/…a5 setups, because I thought that the Bxa6/b5/c6 plan was too dangerous for me to figure out over the board when I didn’t remember all my analysis. [As an aside, I think that aggressive plan is more typical after 8.h3 instead of Anand’s 8.Bd3, which is why I thought twice about playing …b6 and …a5.] So instead, I improvised at the board and played 8…Ne4. 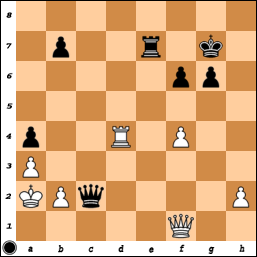 Magnus, however, saw 8.Bd3 intsead of 8.h3 and played in the usual style but without seemingly adequate preparation. My uneducated guess is that the line still isn’t actually that bad for Black, but it is better suited for correspondence players than for humans to figure out over-the-board. Obviously the win was huge for Anand in that it leveled the match, was his first Classical win over Magnus in years, etc etc. But it also continued what was seen in Game 1 that he clearly came to play at least as White this year, and that given an advantage, he could seal the deal. Alright, alright – I have to get in one more “Vinastradamus” prediction from last year’s preview. “So against 1.e4, I’d suggest the French (!). That’s not because I play it myself, but because the French often leads to somewhat irrational positions where I think concrete preparation might make more of a difference. Anand finally moved away from the Berlin in this game (and I hope for the remainder of the match). From what I read, he was quite happy with his play in this game (while Magnus was seemingly disgusted with his own play), but Anand still seems a little too willing to accept small weaknesses in the name of simplifying things. In the above position, moves like …Qb7 and …Bb4 (with …Ne4 down the road) look pretty normal and ask White to react a little bit at least. Instead, he played 19…Be4 20.Bd4 Nh7 21.cxd5 Bxd5! ?, saddling himself with a weak c6-pawn and losing some of his prior activity. In the end, it did work out for this game. But in last year’s match where he went from 2-2 to 2-4, his willingness to suffer slightly essentially turned into a willingness to lose, so as a fan, I’d rather not see that again! With White, he’s getting positions much more to his liking with 1.d4 than he did at almost any point last year. He might not quite be Magnus’s equal anymore in equal positions, but he also hasn’t been one of the very, very top players in the world for 20 years for nothing. So in my view, the opening choices have been all good besides the Berlin in my view. I’d still like to see an Archangel from Anand as Black, but I suspect Magnus will switch away from 1.e4 quite soon. I also wouldn’t be surprised to see Anand play into a Scotch with 1.e4 down the road as white. This entry was posted in World Championship 2014 and tagged Anand, Carlsen, chess, World Championship 2014. Bookmark the permalink. Ooh, I would like to see a French! Reblogged this on Chess Musings. I heard Svidler put the French out there as an underrated option on the chess24 broadcast, but I didn’t listen to it myself. Sadly, I don’t think we’ll be seeing that any time soon from Anand. Hi Vinay – looking at your website (and chess!) after a long time! Old story now – but nice blitz game against Carlsen – hope to see your re-match soon! Anands position did look a bit funny around the Bd5 point in G4 – but listening to the commentary it was not clear where Carlsen could have improved. After the last two games, hoping that Anand will hit form again! Hey Vivek, been a long time! I’m definitely hoping these past couple games have helped his confidence. That won’t make up for some relative chess weaknesses compared to Magnus, but if he gets that back, then with his preparation, some real doubts might start to creep into Magnus’s head. And I don’t think Magnus will cope with that so well.